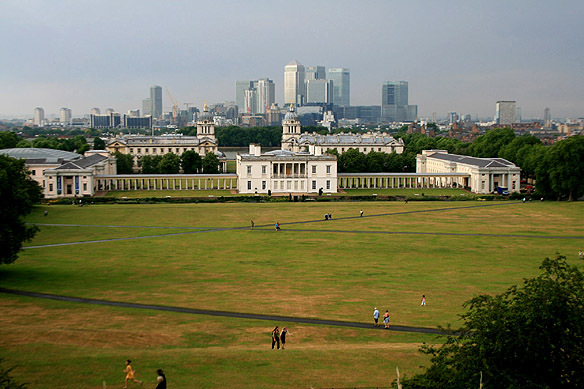 Greenwich has always been inexorably bound to the sea and all things maritime; right from King Henry VIII’s time when he lived in the Royal Palace of Placentia that used to stand here and oversaw his naval fleet from it. 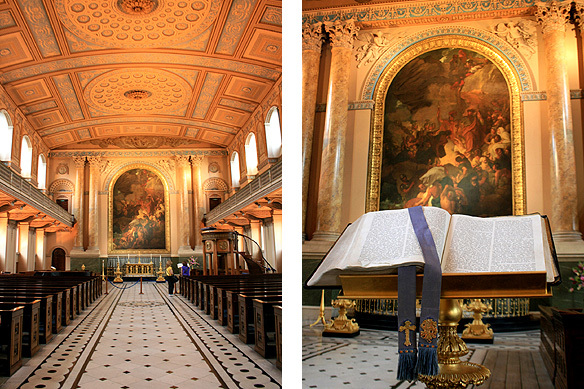 Came the 18th Century, and along with it Queen Mary and Christopher Wren. The Queen decided to build a naval almshouse at the site of the Old Palace. 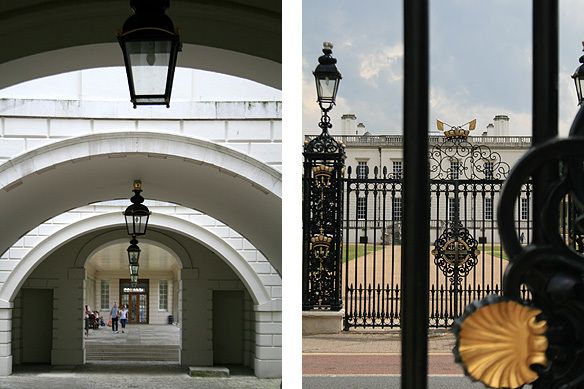 Known as the Royal Naval Hospital (1752), it provided lodging and meals to the disabled and retired seamen of the Napoleonic Wars. 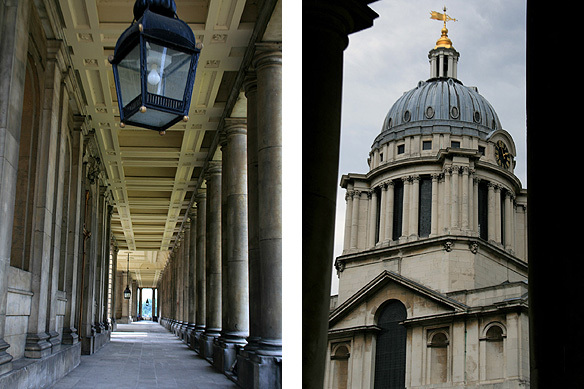 Wren’s grand edifices later became the Royal Naval College in 1873 and were finally leased to the University of Greenwich, in 1999, and the Trinity College of Music. The connection with the sea doesn’t end there. 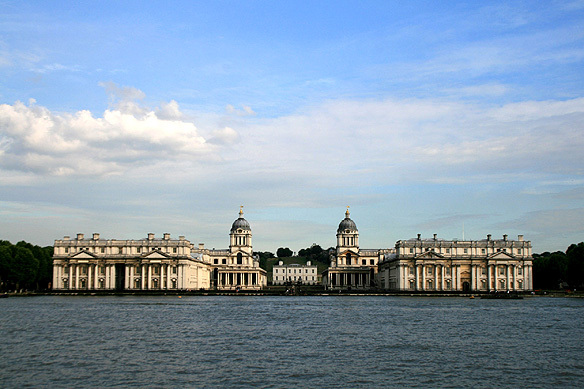 Greenwich is home to the National Maritime Museum which pulsates with the trade, exploration and colonization ties that the seas have had with England. And then there’s what everyone comes to look at. The Royal Observatory where John Harrison invented his famous sea clocks, and THE Greenwich Meridian Line, Longitude 0 degrees 0’ 0”, home of Greenwich Mean Time (GMT). It was a beautiful Sunday today, with people picnicking, lazing and strolling through the enormous expanses of the Greenwich Park. It reminded me of a Seurat painting. It was also a typical rama arya day. 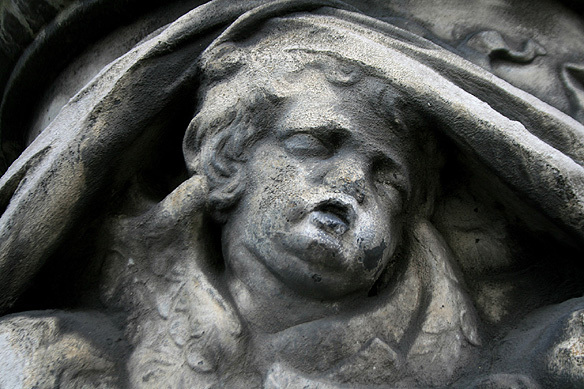 I forgot to eat lunch. I had to see it all and more or less did, including the last show (star life) at the Planetarium and Nelson’s uniform coat with the fatal bullet hole. 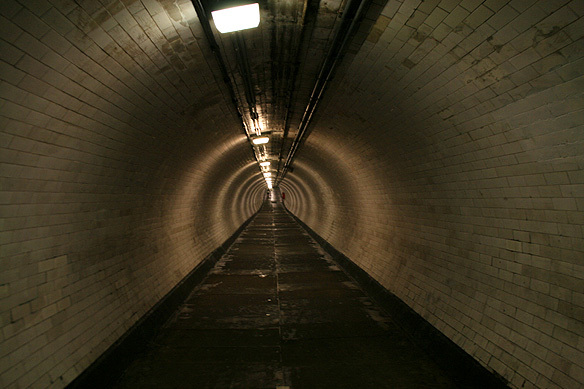 I stared awestruck at Thornhill’s painted masterpiece, explored the Queen’s House, climbed down 50 feet along a long spiral of wet, cold stairs to trudge through the deserted underground foot tunnel (built in 1902), and stood at the centre of time and space—the Greenwich Prime Meridian. By the end I looked like I’d sailed across the Pacific and back! Haha. 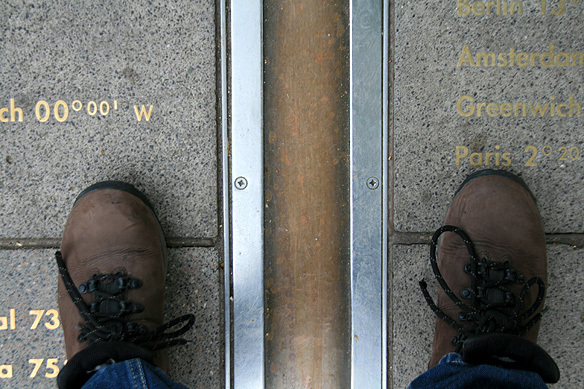 But hey, you only live once, and Greenwich is a must once. 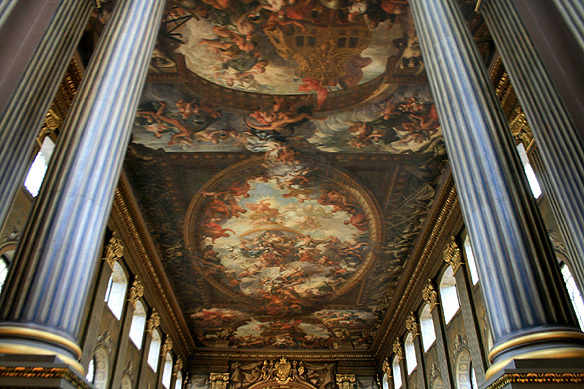 This entry was posted in England with London, Exploring our World and tagged Christopher Wren, Day Trips, Greenwich, Greenwich Prime Meridian, Greenwich University, Henry VIII, Historical Cities, John Harrison, London, National Maritime Museum, Queen Henrietta Maria, Royal Palace of Placentia, Things to see in London by Rama Arya. Bookmark the permalink.